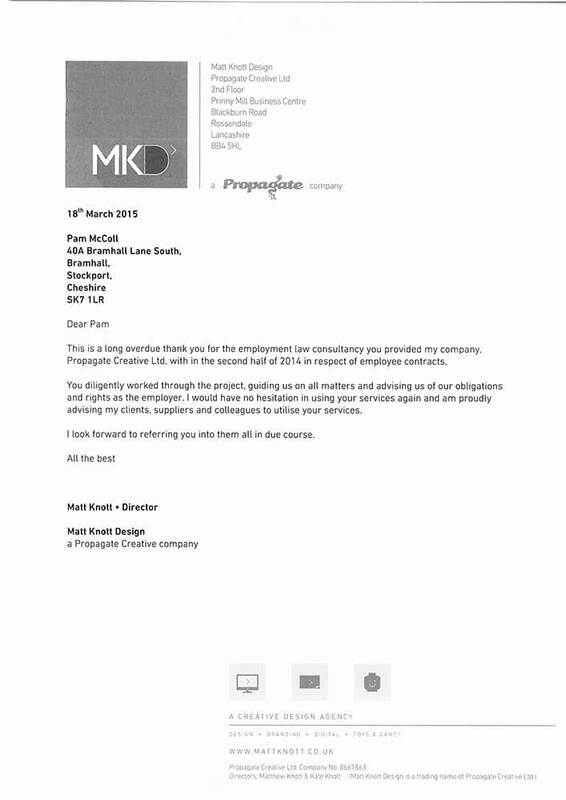 This is a long overdue thank you for the employment law consultancy you provided my company, Propagate Creative Ltd, with in the second half of 2014 in respect of employee contracts. You diligently worked through the project, guiding us on all matters and advising us of our rights as the employer. I would have no hesitation in using your services again and am proudly advising my clients, suppliers and colleagues to utilise your services. I look forward to referring you into them all in due course.